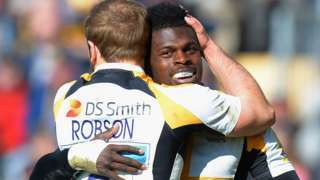 Wasps return to form in style to beat Northampton at Franklin's Gardens and claim just a third win in the Premiership. M1 Northamptonshire southbound severe accident, between J18 for A5 and J17 for M45 Dunchurch. M1 Northamptonshire - One lane blocked and slow traffic on M1 southbound between J18, A5 (Rugby) and J17, M45 (Dunchurch), because of an accident involving a car, a van and a lorry. Northampton Saints full-back Harry Mallinder talks about life in his adopted hometown and playing for his dad. England prop Joe Marler is banned for three weeks and will miss England's Tests with Argentina and Australia. A6013 Northamptonshire westbound severe disruption, between Lake Avenue and A43. A6013 Northamptonshire - A6013 Northampton Road in Kettering closed and slow traffic westbound between the Lake Avenue junction and Kettering, because of a fuel spillage. 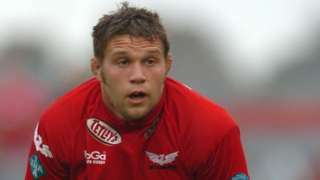 Tight-head prop Ben Broster, capped twice by Wales, has been forced into retirement by injury. M40 Oxfordshire southbound severe disruption, at J11 for A361. M40 Oxfordshire - M40 lane closed on entry slip road southbound at J11, A361 (Banbury), because of a broken down vehicle. A45 Northamptonshire both ways severe accident, between B663 and A605. A45 Northamptonshire - A45 in Raunds closed and queuing traffic in both directions between the B663 junction and Thrapston, because of an accident involving car and lorry. M1 Northamptonshire northbound severe accident, before J15 for A45 affecting J14 for A509. M1 Northamptonshire - Queuing traffic on M1 northbound before J15, A45 (Northampton), because of an accident, which is now on the hard shoulder. All lanes have been re-opened. Travel time is around 25 minutes. Congestion to J14, A509 (Milton Keynes).